America’s fourteenth constitutional amendment reads: “all persons born or naturalized in the United States, are citizens of the United States.” This means that birthright citizenship is granted to any person born in the United States, regardless of their parentage. It extends to children of both documented and undocumented immigrants who now reside in the United States. The idea of birthright citizenship is highly contested, especially among right-wing politicians. 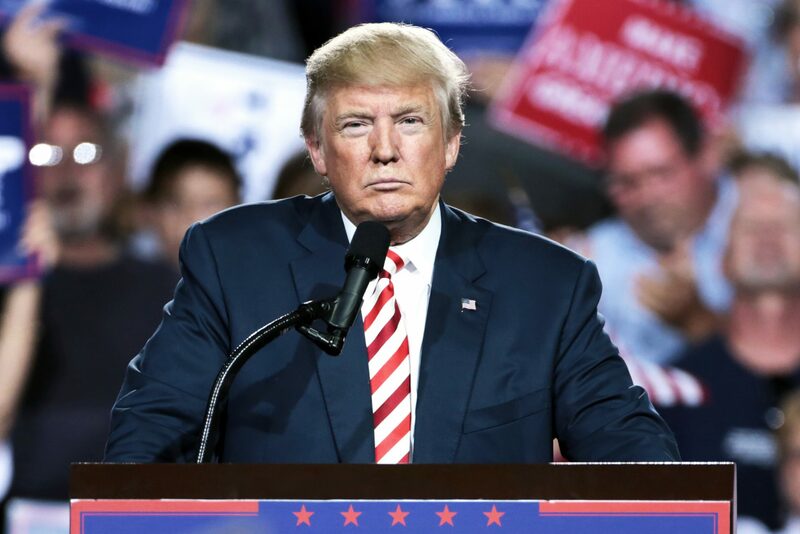 Trump has recently proposed his plan to end birthright citizenship, which falls in line with his strict immigration rhetoric that he was, and still is, enforcing. Birthright citizenship became constitutionally entrenched in 1868. Prior to, birth within the U.S. could grant citizenship to everyone except enslaved persons. In 1866, citizenship was granted to all former slaves, and two years later, the fourteenth amendment became constitutional. Many are calling Trump’s proposal to end birthright citizen unconstitutional. Usually, the constitution can only be changed through an amendment, which is a lengthy process. But Trump has stated that he wishes to issue an executive order, a process that only the president can initiate. This means that the president gets executive authority to enforce a law or manage the resources in his countries’ benefit. One example of a time where Trump used executive authority was when he banned citizens from muslim majority countries from entering the United States. But this time, it would be much harder for him to initiate an executive order, as it would directly violate the constitution. Overall, there is no legal precedent that would allow for Trump to change the entrenched constitution with executive order alone. This doesn’t change the fact that although the chances of his proposal happening are very low, it has still sparked fear in some citizens, and approval in others. There is no logical reason for Trump to try and repeal birthright citizenship, and his attempt to instil fear in the American population under the guise of security is thinly veiled. From immigrant detention centres to ramped up deportation threats, Trump’s proposal to end birthright citizenship is another one of his attempts to deter people from entering the United States undocumented. It’s as though he is attempting to do everything in his power to bring back the fears around immigration that he has so strongly been enforcing. Originally, he announced this proposal during his own 2016 election campaign. He made his most recent announcement of the proposal right before the American midterm elections, which points to the fact that he is mostly using this rhetoric as a political tool. When Trump announced his proposal to eliminate birthright citizenship, he stated that the U.S. is “the only country in the world where a person comes in, has a baby, and the baby is essentially a citizen…” But this is factually incorrect, as there are 34 countries with birthright citizenship policies, Canada included. Most people consider one of the defining traits of settler-colonial countries to be easily accessible citizenship. Denying birthright citizenship has more negative implications than positive. By accepting immigrants into a country, it works to encourage those immigrants to fully integrate into the country in which they’ve entered. There is evidence for negative implications in countries that do not have birthright citizenship. Countries like Belgium, who do not have birthright citizenship, have poorly integrated populations, which creates further disparities and marginalization. His proposal would likely work against its intent anyway. By denying birthright citizenship to children, Trump would essentially be making it harder to deport them, as it’s likely that no country would claim them as their own citizen. People with birthright citizenship often have little to no ties to their “home” country. Even if it were logically possible to “send them back” to said country, they would likely be in an economically worse state than they would be in America. The fact of the matter is that denying birthright citizenship would work against its intents; Trump’s attempt to defy the constitution and instil an executive order would be a direct violation of the constitution itself. No one is above the law, not even the president.